Although I had a fairly extensive gig year, the first acknowledgement is to those dedicated folks on the circuit who far exceed the number I manage to attend and their commitment to live music is utterly admirable. 2016 proved to be an exceptional year with the fortunate experience of being able to see many personal favourites. The year was bolstered by an mid summer US road trip and in some format all but two of my gigs and festival days had some coverage on the blog. For the second successive year, the ninety mark was hit aided by an exceptional full band in-store set by Elizabeth Cook in Nashville. 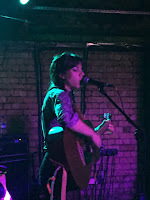 Live music continues to be the utopia of the blogging experience and even when circumstances test the endeavour, the ultimate satisfaction of recording the memory in the written format wins the day. Of course the twenty five chosen performances to form the favourite list is a purely personal entity, but hopefully sharing it will resonate with some folks out there. Happy reading and here's to 2017. For the first time in the five years of publishing this list, the top spot was shared between two contrasting live appearances. 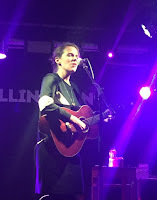 The whole experience of seeing Brandi Carlile share the setting with Old Crow Medicine Show and Dawes in the US was unforgettable from a host of fronts, but for sheer connectivity her London gig raised the bar of appreciation considerably. These two shows fully deserve an equal top billing and went a long way to sealing the stellar mantle on which I place the music of Brandi Carlile on. The tour came out of the blue in light of the band's continuing decade long recording inactivity, but the scheduling of a Birmingham show was the icing on the cake. 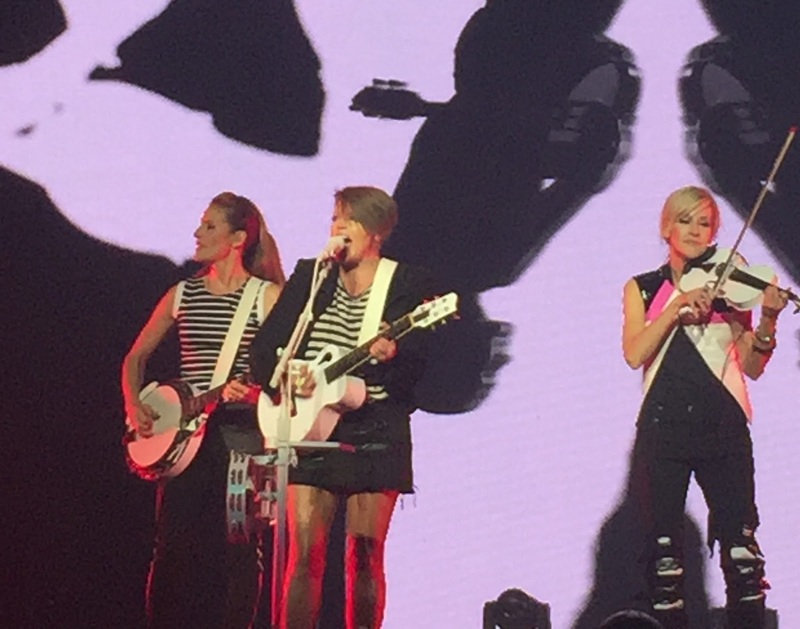 Make no mistake this was Dixie Chicks 2016 not 2003, when they last visited the city. However they continue to be one of the most important acts in American music and it is critical that they continue to operate on such as scale. Throwback maybe, wonderful absolutely. The find of 2015 was a fabulous enhancement in 2016. 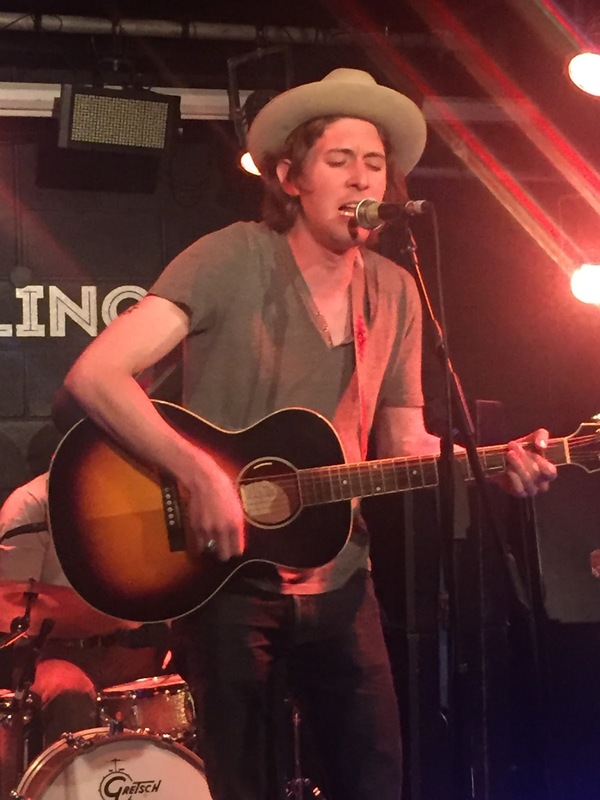 There is something significant about Cale Tyson's stage persona that brings out the core of influential live music. This year the band accompanied him and the ceiling ceased to be the limit. Evidence is gathering of the UK being a special place in the heart of Cale Tyson and his ever increasing visits to these shores move him up a notch each time. Clubhouse Records deserve a pat on the back for introducing Cale and his marvellous musical style to British audiences. 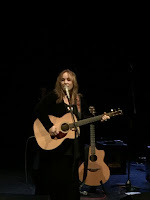 If 2017 is to be a UK hiatus for Gretchen Peters then she left us with a wonderful memory, and quite possibly the best set of performances from a long association with our country. Maybe it was the enhanced band format or the bedding in of the live versions of the BLACKBIRDS songs, but this show was easily a highlight of seeing Gretchen live several times over the last ten years. The added excitement is that the best of Gretchen Peters is possibly still to come and ongoing inspiration is sure to fuel the future. Expect shows from Jason Isbell's January UK tour to top many lists this yuletide season and this will be fully justifiable having attended the Bristol date on the tour. The full band was on fire as his latest two records were brought to life in their full glory. 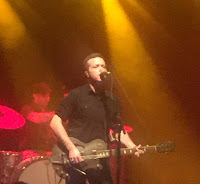 Another artist where praise is beginning to align with their stature, Jason Isbell goes from strength to strength and he is a valuable acquisition to any music fan's appreciation sphere. 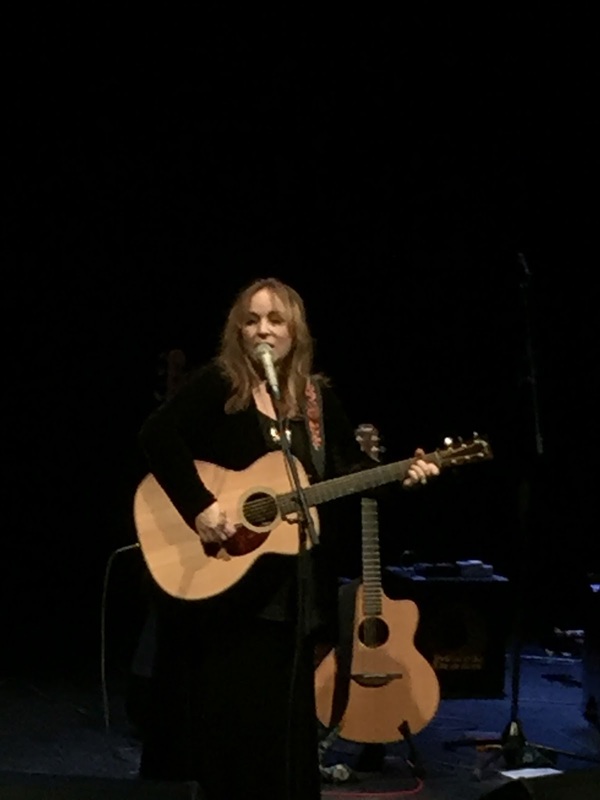 Apart from a status as one of the widely praised artists of the year, the success of this show from a personal perspective stemmed from the fact that Margo had to work the mic all night as she was unable to play guitar. 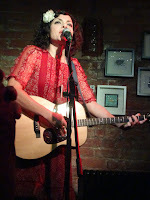 The songs from her debut solo album are purely personal and they are best served with a totally expressive performance. This was delivered in epic proportions and not only were we listening to songs from a great album but being performed by a very special artist. A previous winner of this blog's album of year, 2016 saw Brandy's follow up hit the shelves and an inaugural set of live dates around the UK to essentially showcase both records. From a personal point of view, her songs are best served stripped back and acoustic, the very format of this show which erased any fear of disappointment. Full credit to Ben Glover's opening set as well. 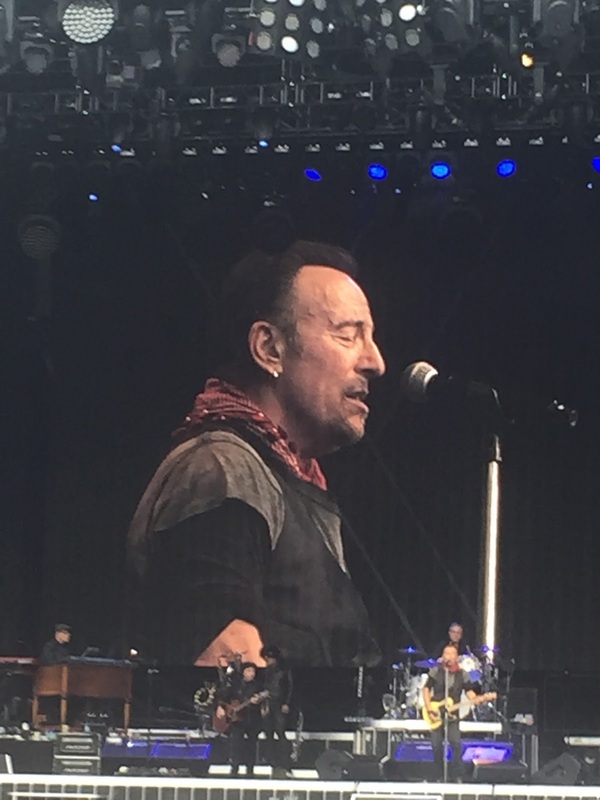 OK Bruce fans this will always be number one in your book and if the sole criteria was scale of impression then seeing the Boss pour everything into a three hour show with top band in tow is tough to beat. 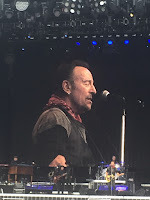 My journey and level of intensity into the works of Bruce Springsteen does not go anywhere near to equating that of many of his devoted fans, but that did not stop being fully engrossed in his every movement and moment on stage. This position is a fair assessment of my investment in one of American music's most iconic performers with perhaps a level of appreciation lifted considerably after one June evening spent in a Midlands football stadium. 2015 was the year three of America's most precious contemporary roots musician talents collaborated in the I'm With Her project. 2016 saw each spin off back into their solo worlds with Aoife leading the way courtesy of a most engaging performance back in the early part of the year. The trio format helped Aoife bring out the best of her songs and the Oxford show immediately lodged in my brain refusing to be budged as the gigs piled on. 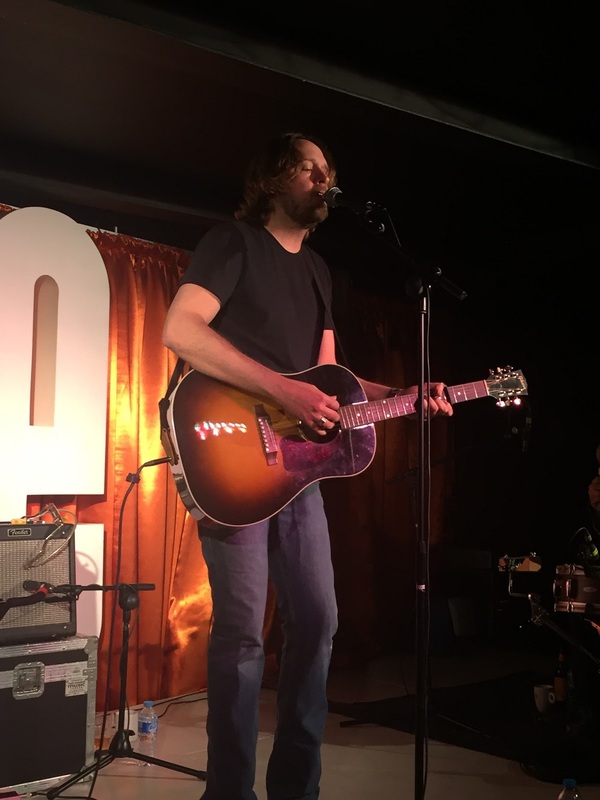 Hayes Carll has now settled back into the groove of touring his classic Texas troubadour style in the UK after a period of self doubt to whom he was playing for. This is good news and the Nottingham show complete with the most impressive pedal steel playing all year (and there were a few) showed Hayes in an immensely positive light. 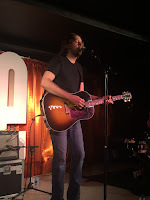 The back catalogue is now heading towards legendary status, joined by another new album this year and the inimitable poise and posture of Hayes Carll continues to light up the gig venues he is booked to play. Any potential dampener of Sara appearing solo rather than in some band format was completely eliminated after witnessing a truly astonishing one person performance at this show. Effortlessly moving between multiple instruments was made so easy by this talented performer who certainly directs her exceptional ability in an engaging way. Bringing to life the new record was another successful feature of this evening and marked an artist right at the core of the US folks, roots and Americana movement. On your first visit to the iconic Union Chapel venue, there is probably a no finer appropriate act to see than The Milk Carton Kids, fully equipped with their trademark harmonies and idealistic rendition of the acoustic song. The pin drop environment was perfectly made for this duo which pioneers a throwback sound so impeccably in contemporary times. The best live band in Britain is a strongly adhered tag to Danny Wilson and his eternal bunch of Champs and being able to perform so effectively in a wide variety of settings is a testimony to their stage presence. No end of year gig list is complete without their entry and you might as well cut and paste them into 2017 such is the consistency. 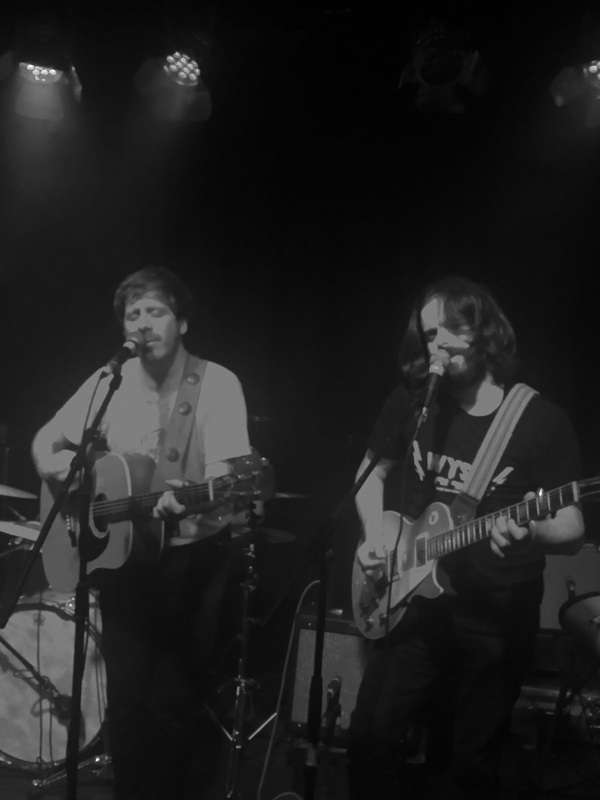 Pushing the Champs hard though is another London based band in the Treetop Flyers who know how to cultivate a superb show awash with keys, guitars, percussion and a lead singer chin deep in the pure emotion of song. Striding the line between West Coast rock, gritty Americana and suburban indie, their shows continue to stand out and this gig was joined later in the year with a similar memorable performance at the Moseley Folk Festival. 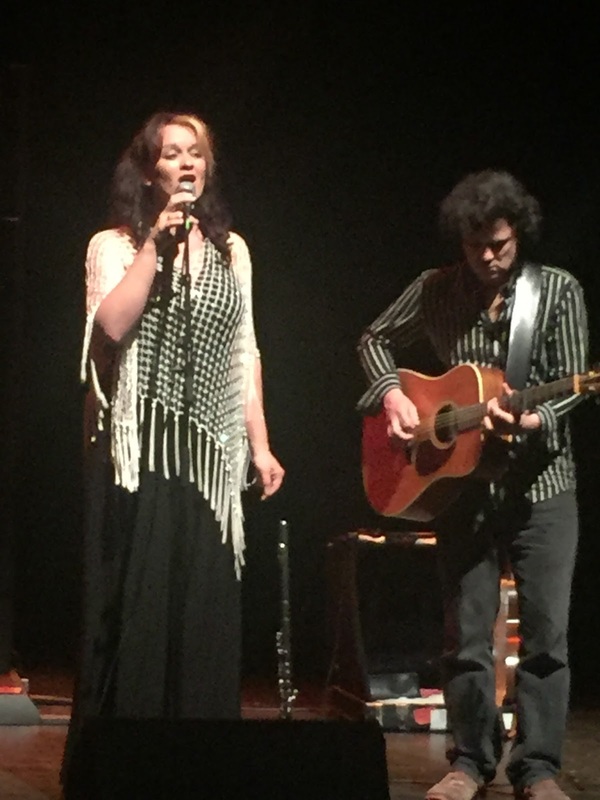 UK folk genre stalwarts Kathryn and Sean took the honours in a live setting for this strand of music in 2016 with a superb theatre show in Bromsgrove. Maybe the strength of their successful duo act is the diversity of inspiration and interpretation along with the most magical and memorable of songs. They really are a must see act on the circuit and can act as a conduit into the genre for folks with a casual interest; they are that good to see live. This was Carrie's long awaited debut gig in the city of Birmingham though she had played in neighbouring Wolverhampton with Chip Taylor a while back. 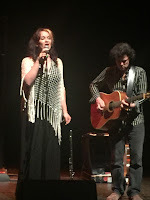 Those patient to finally see her in a local setting were not disappointed as Carrie and husband Luke splendidly dealt with a range of material from the excellent new record to plenty of fine songs from the back catalogue. Essentially Carrie's elegant fiddle playing and serene vocals stole the show and universal praise flooded this intimate venue gig. Following in the footsteps of their impressive discovery in 2015, The Stray Birds returned to the UK accompanied by a brand new record and an enhanced band format with additional percussion. The results were just the same and yielded another successful Oxford trip to support the excellent job done by Mike and the Empty Rooms Promotions team. While roots music will always be the core of The Stray Birds, their ability to reach out via a wider sound base was shown in its full glare at this fabulous show. The mystique and style of Lera Lynn was hidden no more in 2016 as a first opportunity to grasp her cult charm was seized with a trip to the Nottingham gig. 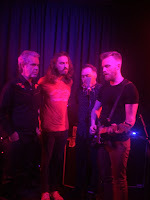 Plenty of electric twang and a full band backing added to the atmospheric flavour of this all-consuming show which swung around a multitude of Southern genres throughout its duration. 'Somebody's Daughter' was the apt soundtrack to this double header gig, which was absolutely owned by two ladies striving to make their own mark in the Americana music world. 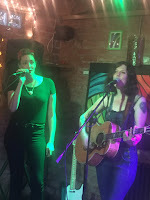 Seriously good songs intrinsically link Hannah and Lilly as well as an inner desire to commit the issues of their own hearts to song. Contrasts in style of delivery existed, but sentiment was perfectly aligned as we were taken into a world of different shades, characters and emotions. Having heard so many positive projections about The Bros. Landreth as a live act, it was a pleasure to join the bandwagon after seeing them bring their accomplished sound to Birmingham this year. The venue was awash with cultured guitar waves to provide a swashbuckling soundtrack for heaps of both, sibling and full band harmonies. What next for this band, remains one of the most enticing questions for 2017. Two years after joining the Hurray for the Riff Raff appreciation club, the union of admiration was sealed by seeing Alynda and her band live in this Birmingham gig, which proved rare in the light of future scheduling. 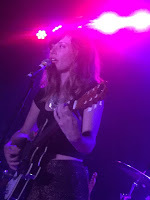 The whole aurora surrounding Alynda transcended from studio to stage and once again limitless potential exists to where she can advance with her band in forthcoming years. A re-scheduled date made this gig accessible which showed there can be a silver lining to a postponement. The success of this show was based on some amazing artistic chemistry between Michele and her lead guitarist Raevennan Husbandes. Such a sound stretched the confines of the Kitchen without detrimental effect amidst a show generally full of your usual singer-songwriter sensibilities. It's a testimony to Michael and Lou that they can consistently put on a show that nestles in the upper limits of a busy gig year. The Hare and Hounds was granted a rare full band show and a fine assortment of musicians didn't disappoint as the whistle was sounded to signal the next phase of the My Darling Clementine career. 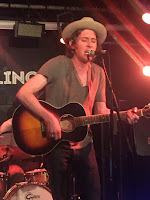 Austin Lucas was seen twice this year and this appearance in Birmingham with British favourites The Dreaming Spires 'trumped' his solo show in Asheville during the summer US road trip. Austin remains a deeply ingrained musician wonderfully capable of transmitting the intensity of his music to an audience at close quarters. 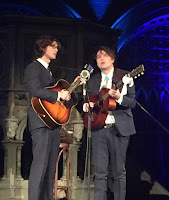 Throw in your usual high planed performance from The Dreaming Spires alongside a super opening set from Katy Bennett meant a special night was assigned to the positive side of the memory bank. This list began with reference to a Stateside gig and is splendidly concluded in the company of some of the finest country musicians that you could wish to see in their iconic Nashville home. Maybe it was the good fortune of catching the legendary Vince Gill effectively leading them on this occasion, but you knew you were witnessing something special from the very start of the show.